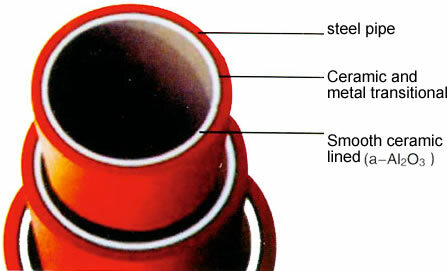 Ceramic lined pipe is made through self-propagating high-temperature synthesis (SHS) technique. 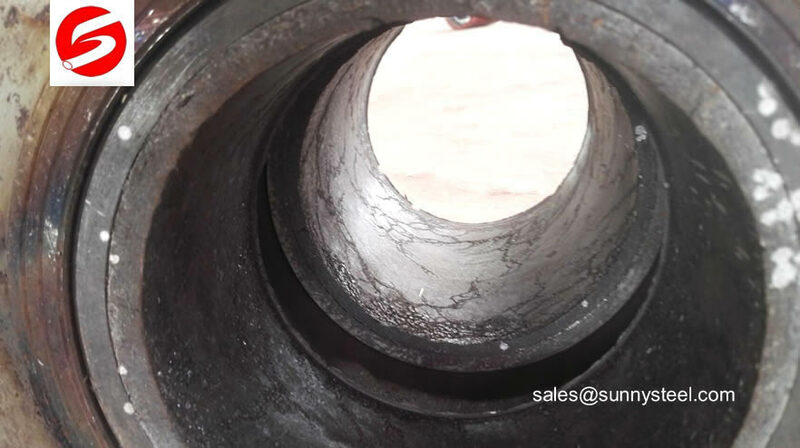 The combination of high rigidity of ceramic and high elasticity of steel gives the pipe unmatchable features as an abrasion resistant, heat resistant and corrosion resistant material for use in the fields of power generation, metallurgy, mining, and chemical industry etc. 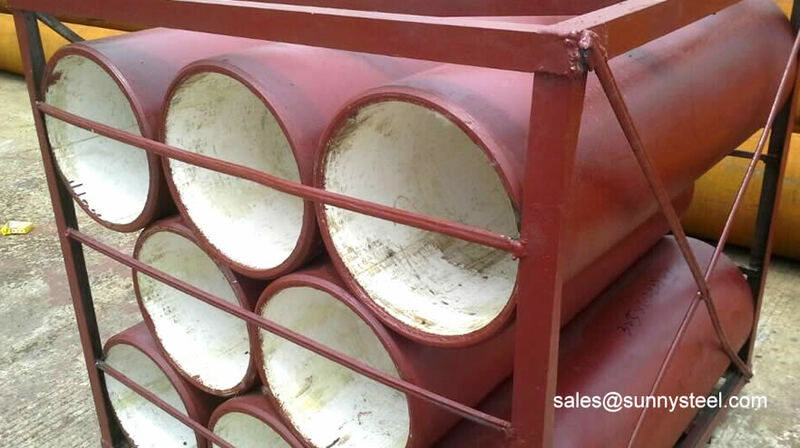 The ceramic lined pipe transport has been widely used in the industries of electric power, metallurgy, coal, petroleum, chemical engineering, building materials, mechanism and so on. Ceramic Tile Lined pipes have very uniform coating of specially formulated ceramic material that is affixed to the inner of the pipe and gives a very smooth surface. Self-propagating high temperature synthesis (SHS) is used to describe a process in which the initial reagents (usually powders), when ignited, spontaneously transform into products due to the exothermitic heat of reaction. 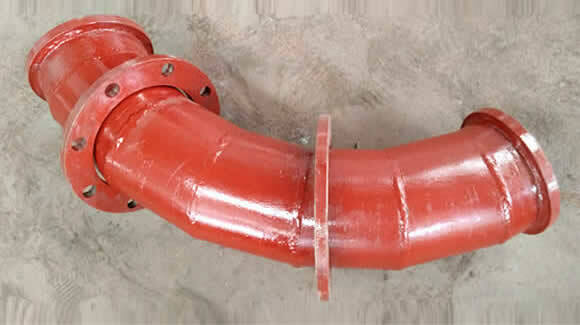 Ceramic Liner pipe is a high technology production technology-self-fuel high temperature clutch synthesis method. The ceramic lined steel pipes are lighter than alloy pipes, cast iron pipes, and cast stone pipes and can be welded or connected through flanges, which reduces the expense of transportation and makes the pipes easier to install. For the pipes with the same sizes, types and length, the weight of ceramic pipe is about 1/2 of the wearable cast alloy steel pipe's, while the cost has reduced 10%~20% per meter. 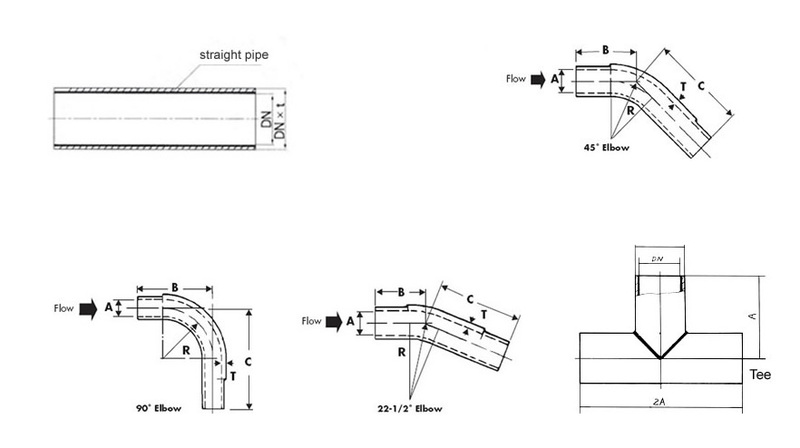 The weight of ceramic lined steel pipe is about 1/3 of the cast stone bent pipe's, 1/2 of the cast stone straight pipe's. 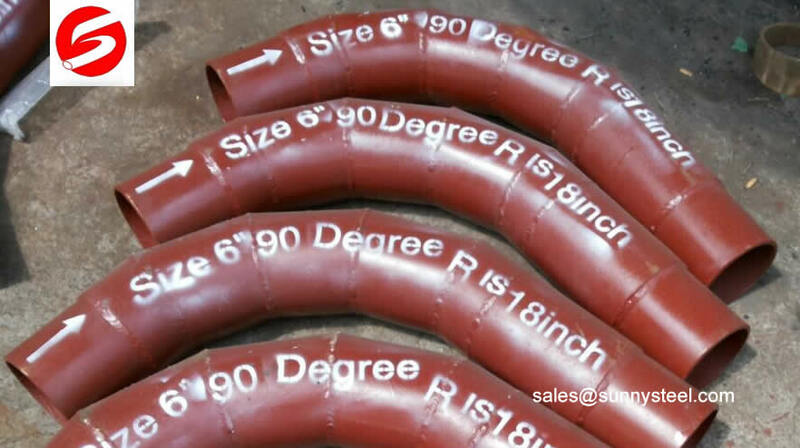 Ceramic (Corundum: a-Al2O3) lined abrasion resistant straight pipe and fittings are lined with highly abrasion resistant ceramic by SHS -------Self-propagating High-temperature Synthetic process. 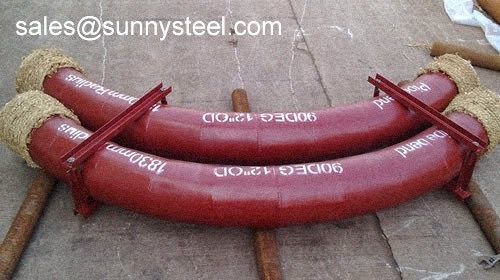 The ceramic-lined steel composite pipe can be joined by welding the steel pipe layer. 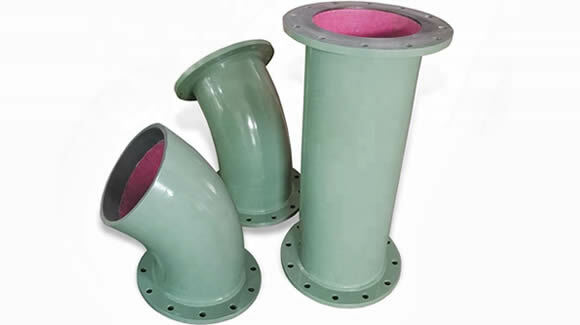 Ceramic lined pipes can take place of expensive stainless steel, titanium, nickel, cast stone or alloy pipes. Extended service life can also reduce maintenance cost. SHS are currently being developed the world over for the production of powders and near-net shape components of advanced materials. has very uniform coating of specially formulated ceramic material that is affixed to the inner of the pipe and gives a very smooth surface. The wear resistant ceramic ring is a special kind of ceramic with Al2O3 as the main raw material and the rare metal oxide as the flux. Abrasion occurs when materials are rubbed across one another over a period of time.